Then I noticed there is also a TV series with many seasons. 2. What would be the correct watch order between the movies and the TV series? Okay, so... Battlestar Galactica gets complicated because of all the miniseries and web series, etc. Netflix used to have the main series (minus one or two minor web series) and provided them in order, which made life so much easier. Sadly, Netflix took the modern BSG down, but you can still find DVDs at libraries, etc. So the answer to #2 is yes, there is a certain chronological order (though the web series aren't strictly necessary to watch, and they can be really hard to find). Technically speaking, there are two "movies" in this version (Ronald Moore & Gary Larson's remake), but they're really more of miniseries than anything else. That brings us to what you watched - if I'm recognizing the picture correctly, it's actually not either of the "movies," but the original/first miniseries (technically two episodes, but they can be watched in one sitting pretty easily) that served as a pilot for this remake of BSG. So you did good for yourself on that count - that original miniseries is pretty much essential to understanding the rest of the show. So, you've watched the kick-off miniseries - now how should you proceed? The four main/regular seasons are a good start. Then there are the "movies"/miniseries. The first one, Razor, belongs in there shortly after the Pegasus storyline - you'll recognize it when you see it, but I don't want to give too much away. Then there's also The Plan, which shows you the first few episodes (original miniseries + a good chunk of season 1) directly from some of the cylons' perspectives. I personally didn't watch that until after I watched everything else - pretty safe spoiler-wise that way (I'd advise that you at least don't watch it until after you've watched the first season of the regular series). As for the web series - there are three. The first, "The Resistance," is probably best watched during or just before Season 3. The other two - "Razor Flashbacks"* and "The Face of the Enemy" - are probably best watched once you're already well into Season 4. For a relatively spoiler-free account of season/episode/etc. order, you can look here. At least, it gives you the dates of when each episode, etc. was written and produced, and despite that it all looks like a jumbled mess when you put everything together, pretty much everything was written/produced in chronological order, so... I hope that was helpful. Good luck, and I hope you enjoy BSG! *You may be able to watch this one earlier, especially as it's largely based in flashbacks to events from way before the series even started, but seeing as my memory is a bit foggy on those episodes, I don't want to give too much advice in that particular area. A chronological timeline of Battlestar Galactica re-imaged (2004) universe, including web series, spin-offs, and tv movies. 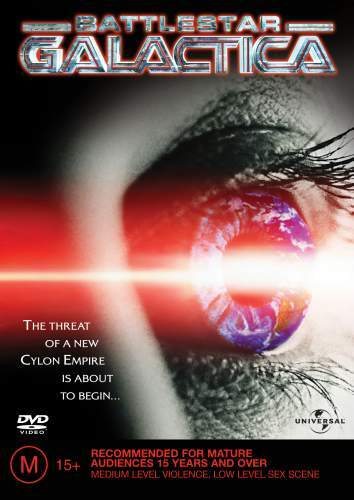 Caprica - A Prequel to Battlestar Galactica (2004) taking place 50 years before The Fall (The Beginning of Battlestar Galactica), feautiring the origins of this era's cyclons and with a generational tether back to an iconic BSG character. Blood and Chrome - A nine episode Web-Series featuring the younger Bill Adama as he becomes apart of covert operation(s) during the first Cylon War. Battlestar Galactica Seasons 1 & 2, Razor TV Movie, Razor Web series flashbacks - Technically, taking out the Razor flashbacks to the First Cylon War, the TV movie fits in between 2.17 & 2.18, as it relates to a vital season 2 character and the current events of this arc, but you could easily watch it after season 2, too. Battlestar Galctica Season 4, Face of the Enemy web-series, and TV Movie: The Plan. Face of the Enemy fits in between 4.11 & 4.12. The Plan works well in between 4.15 & 4.16, but technically is also a flashback to unseen events from seasons 1 & 2, but it also contains spoilers about other characters that are not revealed until season four, so that is why I chose not to include it earlier. Basically, everyone is going to their preference as to which order someone should watch any of these in. IMO it is generally best to watch Battlestar Galactica (as presented) first (as it was also created and released first), before venturing onto Caprica and Blood and Chrome just because I think the spin-offs would resonate better due to one key BSG character relating to both other series. Not the answer you're looking for? Browse other questions tagged battlestar-galactica suggested-order . Does it matter in which order I watch the “Man With No Name” trilogy? Are Dollhouse and Battlestar Galactica connected? In what order should I watch the X-Men movies? Do I have to watch Star Trek TV and movie series before watching Star Trek Beyond? Is it possible to start watching Battlestar Galactica (2004) at Season 4.5 and understand the rest of the series? Is there any particular order in which one should watch the movies of Marvel Cinematic Universe? Why? Can I watch Battlestar Galactica 2003 without knowing the original 1978 series?